That’s right; it’s time for another upright bike review. This time, I have taken a closer look at L NOW Upright Exercise bike, the D808 model. The thirst for indoor exercise bikes can’t be clenched in the 21st century, that’s why the constant need for the new models. Honestly, I think that’s a good thing, considering how many ‘sit-for-eight-hours jobs there is. 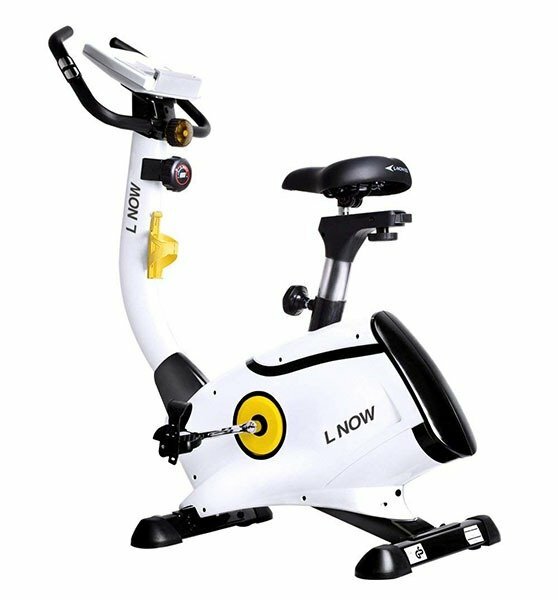 L NOW specializes on indoor exercise bikes, both standard and upright models. 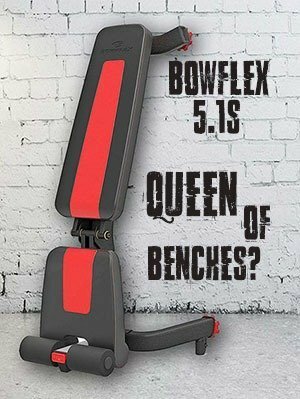 They have been on the market long enough to establish the required authority among fitness equipment manufacturers. With the introduction behind us, let’s jump right into the features. The frame of L NOW upright exercise bike is made of steel and ABS plastic combination. The combination of black and white colors with its unique design reminds of a decoration, rather than an exercise bike. The bike supports up to 300 lbs of weight and is intended to be used on the hard flat floor. The transportation wheels allows for easy transport from one location to another. The bike also features hand pulse sensors and for measuring heart rate and the included display records speed, distance, rpm, calories and body fat. The bike uses magnetic resistance system with 8 different adjustable levels for all difficulty ranges of workout. The dimensions of the bike are 50.4 x 57.3 x 21.6 inches (128 x 145.5 x 54.9 cm) and the weight is 66.2 pounds (30 kg). First, I would like to start with assembly. Since I did not assemble the bike myself, I pulled out assembly reviews from several sources. The thing they all have in common is that the bike is relatively easy to assembly and should not take an individual more than an hour. The manual is good enough and the individual parts fit precisely. Although multiple users suggested that it would be great if you’d have a buddy helping you out with the assembly. First thing to note about L NOW upright exercise bike is the uncommon, yet attractive design. With the upright design and the combination of black and white colors, the bike looks like a decoration of some animal, like a duck or chicken. The combination of ABS and steel does the job, the bike feels sturdy. The seat and the entire construction are ergonomically designed. The seat is very comfortable and high quality and it can be adjusted in height and angle. I’m 5’10”and I’m confident it would fit even 6’3” people. The adjustment system is very well thought of, there is no vibration whatsoever and you can adjust it during your exercise without any problems. The entire magnetic tension system is good & smooth and mainly, very quiet. You can easily watch TV while exercising. The LCD display is large enough and quite intuitive. You just need to power it up with two AA batteries. The handlebars themselves are pretty standard like with most exercise bikes. Comfortable to hold and that’s basically it. Is the L NOW Upright Exercise bike worth the money? If your aim is a quality upright, ergonomically-designed bike, then this is the one to go with. If you are taller than 6’3” then I’d suggest first contacting the manufacturer if it fits your height. Otherwise, there’s not much to complain about, really. If you are looking for a bike that can support more than 300 lbs, I’d suggest checking out Merax indoor exercise bike.